Firm: Architecture is Fun, Inc. 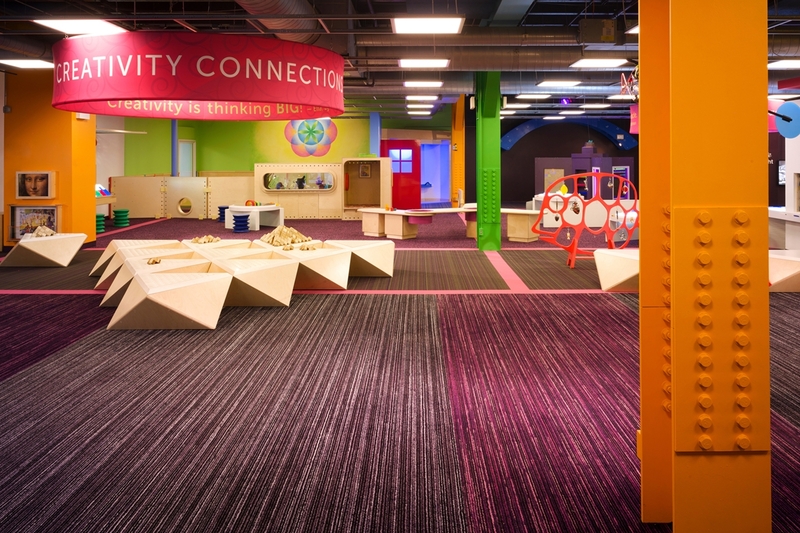 The Pyramid Bench opens out into the museum’s public spaces, embracing and connecting family engagement and play in ways that help transition children from the entry into Creativity Connections, where STEAM-based concepts are presented in hands-on exhibits. As caregivers perch on the bench alongside their children, opportunities to socialize and engage in constructive play are increased. 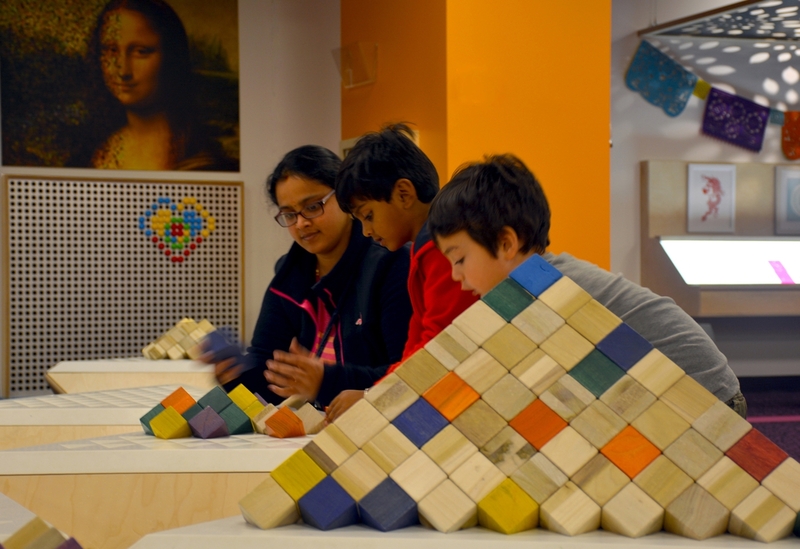 Children building constructions alone or with help gain a conceptual understanding of structural engineering and their building skills quickly increase as they explore pattern, stacking, and the forces of gravity, tension, stability, and balance. 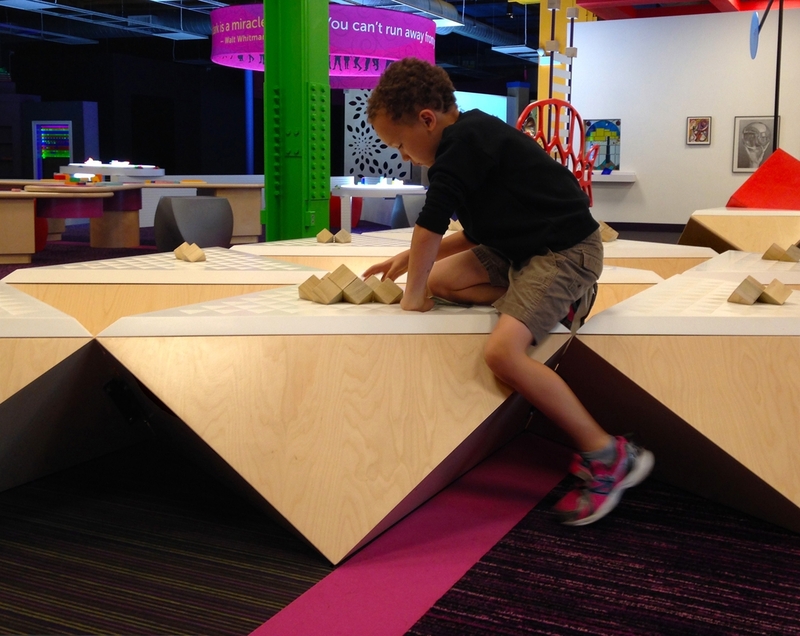 In its simplicity, geometry, and openness, the Pyramid Bench encourages creativity and left- and right-brain logic and visualization development. As furniture, families lounge together while children climb in, on, and through its form. As immersive exhibit, the bench invites and encourages constructive play. As public place, the Pyramid Bench supports the visitor experience by connection to the museum’s architecture, built of shapes and space, and to geometry as a language and invitation to play.